Cadence, set up in 2010 by Bob Steel, Bill Harrison and others to snap up failed lenders, is buying State Bank Financial for $1.4 bln. It’s a small deal in isolation. But there’s an expanding group of acquisitive upstart banks that may force stodgier rivals to do deals. 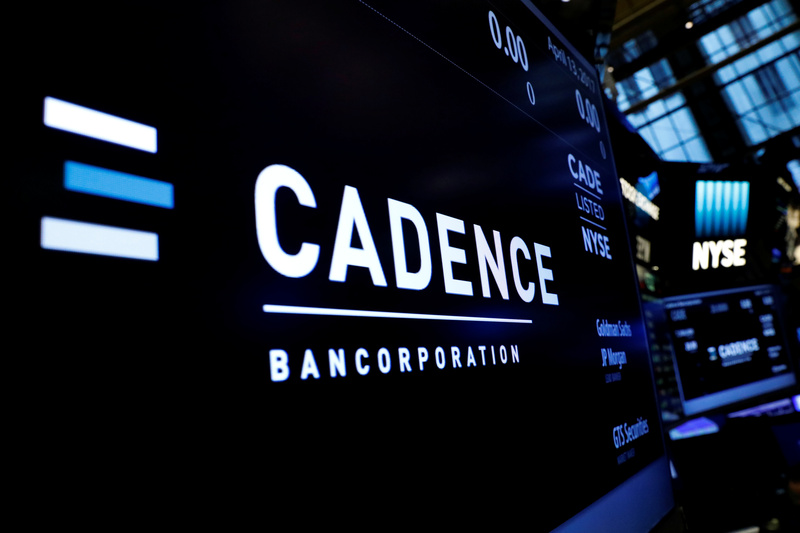 A logo and ticker info for Cadence Bancorp, LLC is displayed on a screen during the company's IPO, on the floor of the New York Stock Exchange (NYSE) in New York, U.S., April 13, 2017. Houston-based Cadence Bancorp on May 13 said it has agreed to buy State Bank Financial, headquartered in Atlanta, for $1.4 billion in stock. The offer represents a 6 percent premium to State Bank’s closing price on May 11. The combined lender will have $16 billion in assets, $12 billion in loans, $13 billion in deposits and some 100 branches in Alabama, Florida, Georgia, Mississippi, Tennessee and Texas.